A resident, and close personal friend recently told us that "I have been all around the world, and Sarasota is the only place that I can truly call perfect." In our experience, many who live in the area echo our friend's opinion. If proximity to the ocean is a key factor in your retirement relocation, Sarasota is a must towards the top of your list. From award winning beaches, to recreational activities on the Gulf of Mexico, the city has recently become a top destination for retirees who are looking for some fun in the sun. 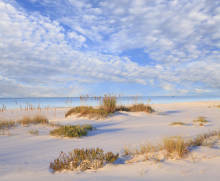 In fact, Siesta Key beach was recently ranked the #1 beach in the United States by TripAdvisor. Couple this with all of the amenities of a midsized city, and Sarasota has become the complete package for many retirees seeking the best of both worlds. The city is made up of a variety of neighborhoods, all with their own unique characteristics. Lakewood Ranch, for example is a 7,000+ acre master planned community with a variety of residential and commercial developments. The community boasts golf courses, polo and cricket clubs, and a variety of parks and outdoor activities within its borders. South Sarasota is another popular area of the city, mainly due to it's proximity to Siesta Key. "West of the Trail" properties that lie west of Tamiami Trail command a higher price, as they are a quick bike ride to top beaches, as well as to area restaurants. Click on the above tabs to learn more about what it's like to retire in Sarasota. Match me with 3 top Sarasota Realtors!